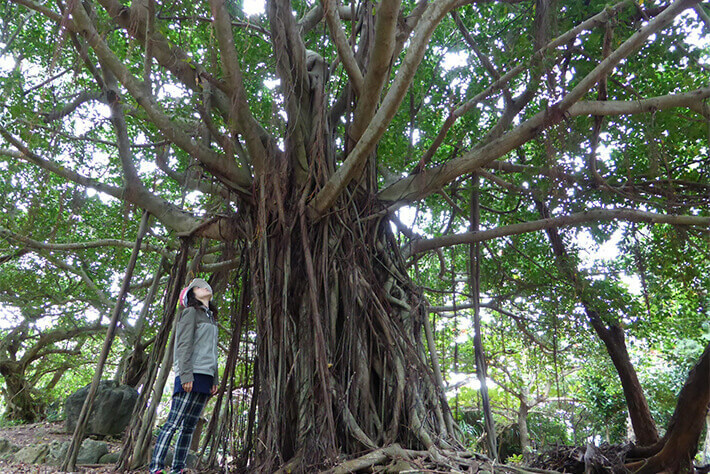 Tarama Island is an island located directly between the islands of Miyako and Ishigaki. Vast sugar cane fields cover much of the flat terrain formed by coral reef, and the sweet smell of brown sugar drifts throughout the island during the harvest season. 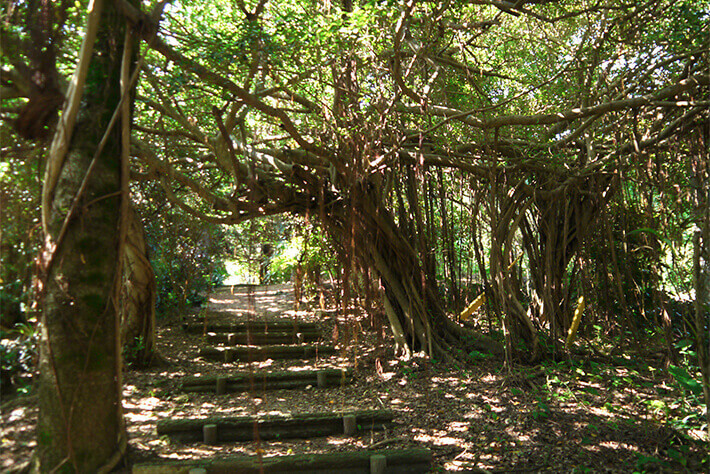 The landscape of an old village remains on Tarama Island, which is known for its narrow streets referred to as “tuburi” that extend radially from the village toward the sea in a way that wraps around the island. There is also Minna Island, surrounded by coral reef and white sand, where nature remains unspoiled, just 9.5 km north of Tarama Island. The August Dance, designated by the Japanese government as an important intangible folk cultural asset, is the harvest festival of Tarama Island, which takes place over three days starting on August 8th of the lunar calendar, a tradition that dates back 400 years. It originated from the practice of reporting to the gods of Utaki the people’s sense of joy and appreciation over fulfilling harsh tax obligations and dancing before them to celebrate the fulfillment and to pray for another abundant harvest the following year. 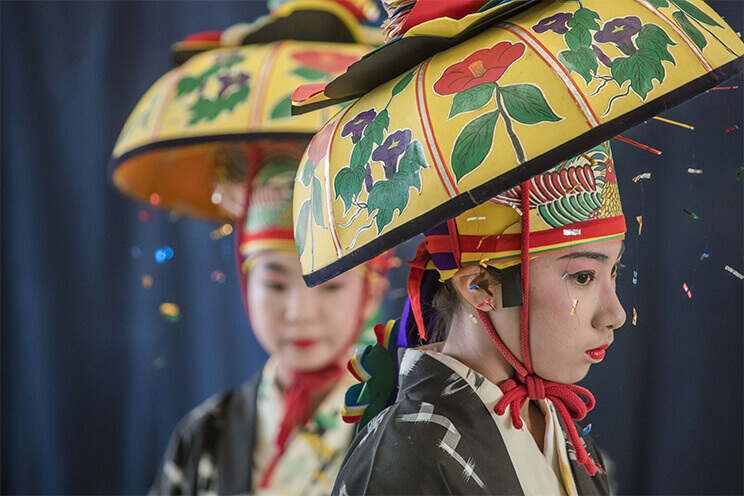 The current practice evolved from the Kumi Odori and other classical dances that were introduced during the Meiji era. Each year, people who have left the island return, and tourists and researchers show up in crowds to bring in the most bustling season of the year. 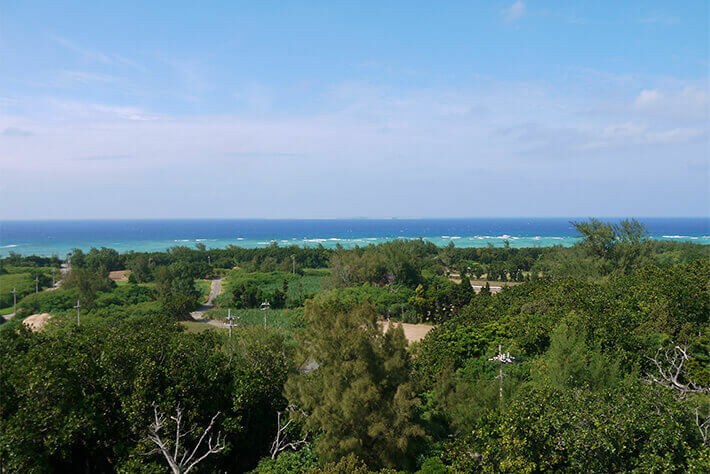 The streets and villages on Tarama Island are laid out on a grid with a windbreak of fukugi trees based on the concept of Feng Shui, a result of ancestors carefully organizing a method to minimize the damage caused by typhoons, which often strike the island. 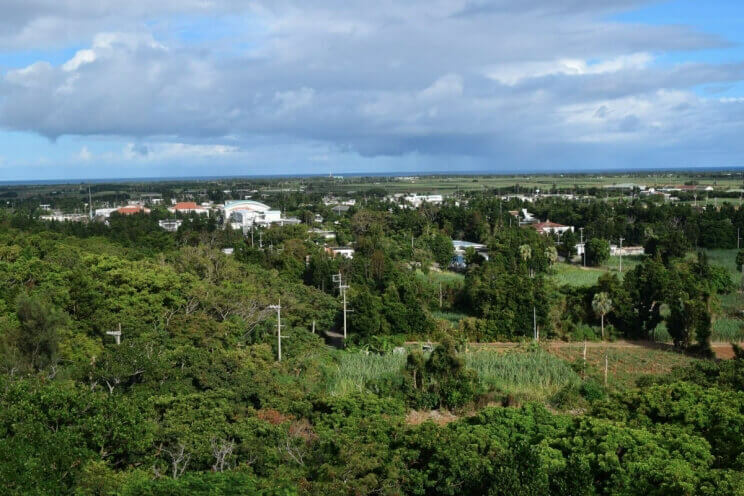 With the stunning landscape of its villages that remain much in their original form, it is the only village in Okinawa to be recognized as one of the most beautiful villages of Japan. 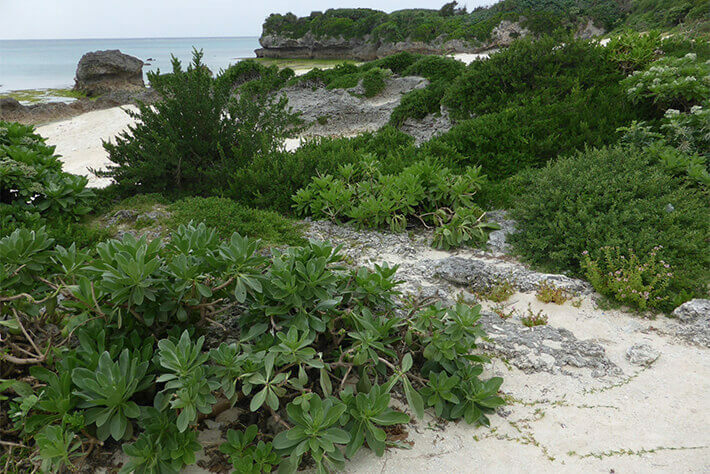 A charter boat can be taken from Tarama Island to reach Minna Island. 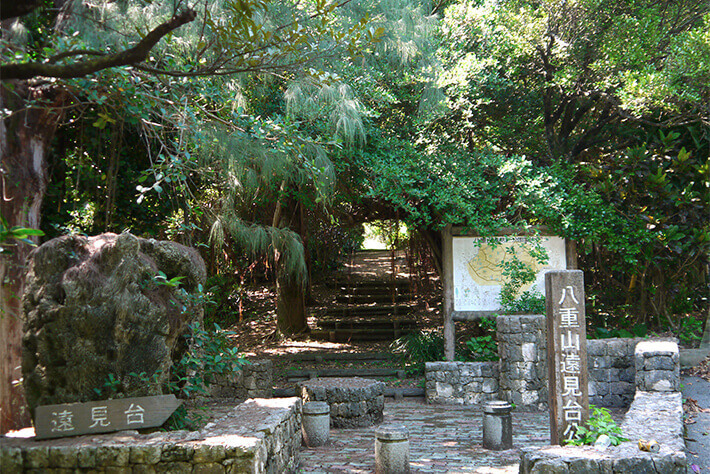 Even amongst local Okinawans, very few people have been to Minna Island, and thus some refer to it as the “secret island.” Although there was once a population of 265 islanders and an elementary/middle school, there are only four households living on the island today. 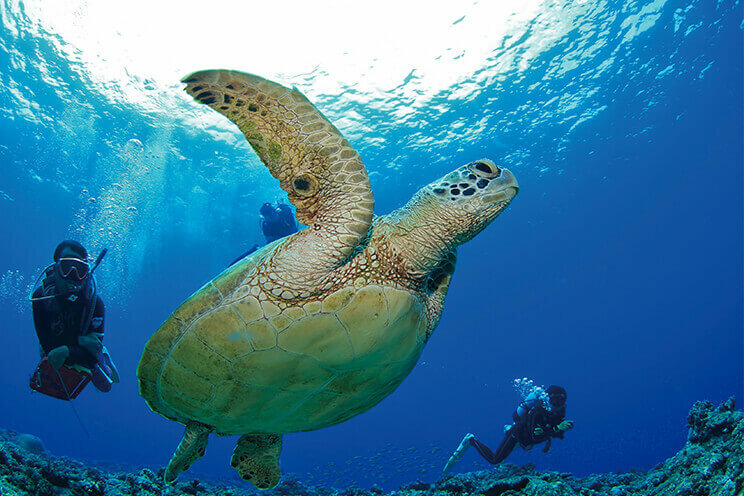 With its highly transparent waters and abundance of sea turtles, Minna Island is a must visit island. On Tarama Island, you can see the Southern Cross, which is only visible south of the latitude 26 degrees north. Although the Southern Cross appears just above the horizon, since Tarama Island is a flat island with no hills, the sky appears as a dome, which allows you to watch the stars as if you were in a planetarium. Also, because there are few lights in the village, you can get a clear view of the stars from virtually anywhere on the island, making it a must visit for those interested in astronomy. Maedomari Port (Tarama Island) > Minna Port. Size / Population: 2.15km² / Population of 4 people.